Patchouli Oil (Indonesia) - Ultra International B.V.Ultra International B.V.
Local patchouli stock availability is gradually diminishing and supplies are slow due to the rains. This has pushed up local prices. The new harvest is expected to start around early to mid-April, depending on the region. Sources are unable to comment on the production for this harvest or the market reaction to improvement in supply; but the market is looking forward to an easing of prices in the coming weeks. The upcoming harvest is expected to peak in May to June. Patchouli has witnessed a slowdown in sales over the last couple of years, and this has been well documented. The dismal prices that the crop has been fetching have dampened the interest of farmers and now they are not too keen to continue with patchouli at these levels. There was an underlying hope that prices would rally once supplies flowed back in line with demand, and existing stocks were exhausted. 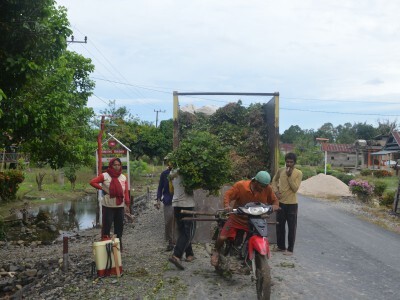 This would be the natural course in any case, but the arid weather conditions and natural disasters in Sulawesi have compounded the problems of farmers and distillers. This has led to a much faster slide in prices than was anticipated. With the arrival of the rains there was expectation of market interest for the early New Year. But there was no word from the collection points and this put further strain on supplies. The ripple effects were felt in local supplies, especially after a spike in exports during September and October (perhaps after IFEAT Cartagena Conference). Now, supplies continue to remain subdued until March. Prices are susceptible to volatility, and will react to any strong demand during this period.